Hello everyone! 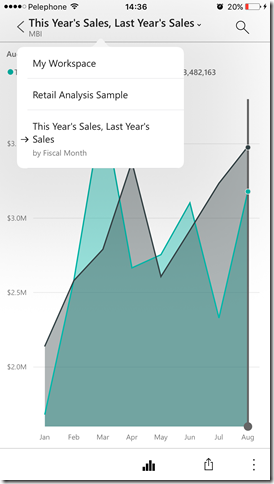 We have some cool features to announce this month for the Power BI mobile apps, including the preview for phone-optimized reports, new UI functionality, and new navigation capabilities. We are excited to announce our preview of customizable reports for phones. Much like with our previous feature, phone optimization for dashboards, you can now create report views that are optimized for your phone. Along with this custom view, we have introduced a number of features to enhance and optimize the experience of using reports on phones. See our special blog about Phone reports for more details. Click on the title of any dashboard report or tile in focus mode to see its hierarchical path. For example, clicking on a tile title in focus mode will show the whole path of this tile in the format of: My Workspace or group name – > Dashboard name – > Tile name. Seeing these breadcrumb menus is especially useful when you open an item from a link, notification, search, or any other redirection, as now you can just click on any part of the menu to jump to that section. 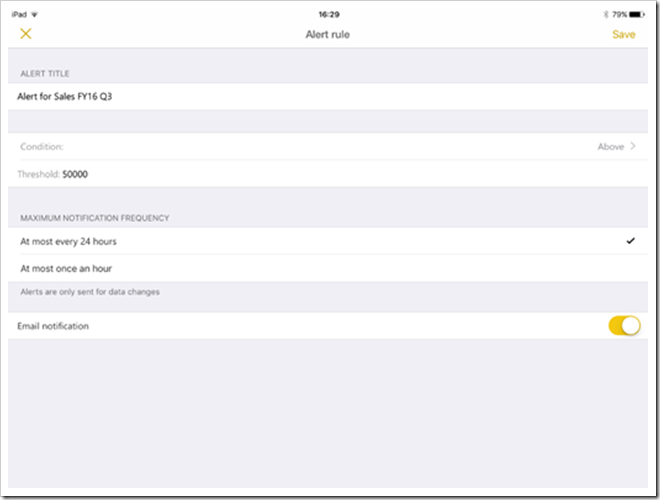 With this release, the iOS app supports Microsoft Intune MAM (MDM-less) capabilities. Organizations can use MAM to control and manage specific apps such as Power BI, and help prevent data leaks without requiring employees to enroll their device with IT. More details can be found in the dedicated blog. Now in the Power BI service you can create a QR code to link to a specific page in a report, rather than to the entire report. The QR generation for a report remains the same. When scanning the QR code using your Android or iOS phone, you will be directed to a specific report page. With this update, you can manually trigger a refresh of your dashboard tiles using your Power BI Mobile app for Windows 10. For tiles based on Direct Query, this will retrieve the latest data from the data set. 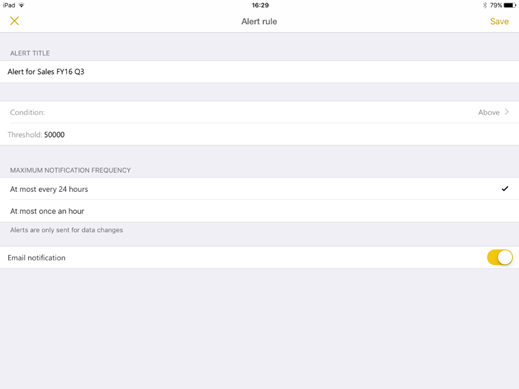 Learn more about this capability, which we introduced for iOS in our previous release.